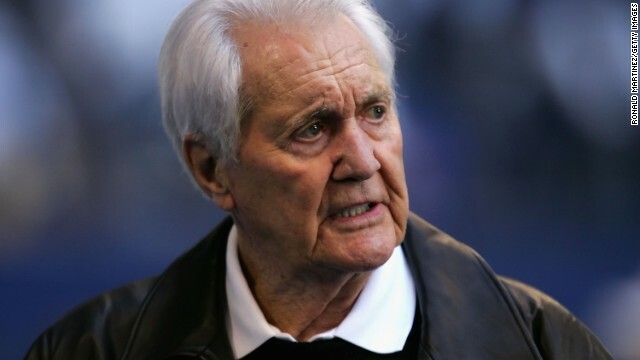 Pat Summermall, the football player turned legendary play-by-play announcer, died Tuesday, He was 82. He was best known as a broadcaster for teaming with former NFL coach John Madden. Summerall also worked for years alongside former player Tom Brookshier and became the voice of the NFL in the 1970s and 1980s, calling most of the league's signature games. As a player, he was a placekicker, who played for the Chicago Cardinals and New York Giants from 1952 to 1961. He scored more than 500 points as an NFL player. A great player and even greater announcer,Mr.Summerall with be up there in Football Hall of Fame heaven,rest in peace sir!! Pat here’s to you buddy! I remember being a kid and listing to you. You are truly an icon.